1st International Conference on "Consumption and Consumer Resistance"
2nd edition of NACRE NACR International Conference will be held jointly with the International Centre for Anti-Consumption Research (ICAR) and hosted by Euromed Management in Marseille, France. The main objective of the ICAR/NACRE 2010 Symposium is to identify and discuss what the most pertinent redundancies and differences are in these two topics. The European Journal of Marketing (EJM) aims to publish a special section of approximately 12 research notes/short papers on anti-consumption in 2011. Hence the EJM special section and Symposium theme is: Anti-consumption and consumer resistance: concerns, conflicts, and convergence. Manuscripts must not exceed 4500 words in length (including references). Manuscripts should be submitted by January 29th 2010. 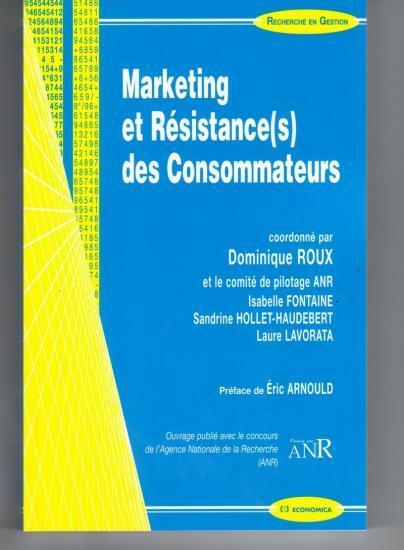 The Symposium has received a financial support from ACR and a scientific agreement from AFM (Association Française de Marketing).